One lazy day scrolling through my emails, I see a mail from Shivani about a brand feature. In the past, I have worked with brands just for the heck of it. But not anymore. You remember me telling you about changing things a bit around here? This is one of the changes: working with brands I love and can identify with. Reading the mail, I realized the mail couldn't have come at a better time. Why am I so excited about this, you ask? 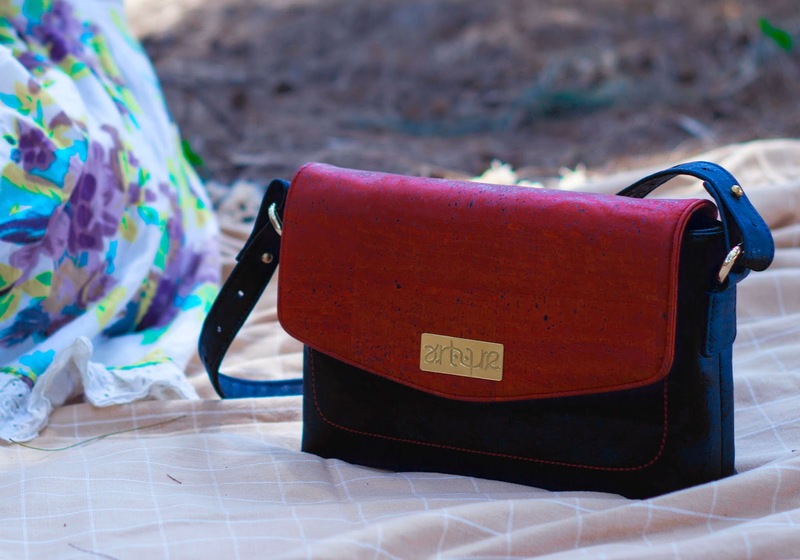 Well, here is a twenty something girl starting a brand that makes bags from cork fabric. CORK! Yes, you heard it right! Shivani launched a crowdfunding campaign for her brand 'Arture' on IndieGogo... You can check it out here and help her in any small way you can. I should mention that the helping comes with rewards. Before that, read on to know about the young designer and her brand. Shivani: I was born and brought up in Chennai. I graduated from NIFT Chennai with a Bachelor of Design (Accessory Design) degree in 2013. My specialization was in footwear and leather goods. I love arts and crafts, and I love spending time with my dogs. What is Arture all about? Shivani: Arture was derived from Art + Nature. I believe in creating pieces of art that are inspired by nature and all things natural. I call Arture "The Canvas of Nature". It is about going back to your roots while being contemporary at the same time. It's about being fun and modern, while choosing to make a difference. I've grown to love our world so much, and Arture is my means of discovering nature's secrets and bringing them to you. What makes your work different compared to others? 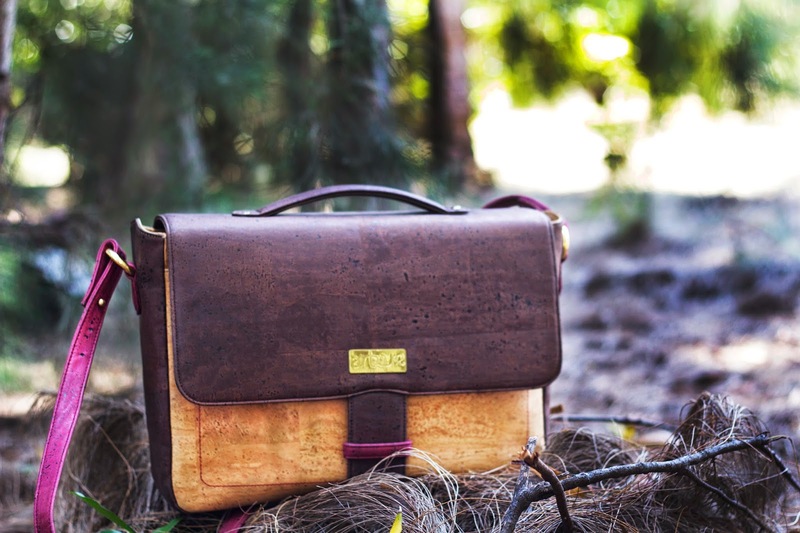 Shivani: Arture products are 100% non-leather. They are fashionable, yet sustainable and eco-friendly. With Arture, you can go green, without compromising on style. Most non-leather brands use synthetics, but I didn't want to do that, because I knew how bad they are for the environment. That's why I set out to find the perfect alternate, and cork was my answer. Making bags out of cork fabric is pretty unusual. How did you come up with the idea? Shivani: I got the idea when I bought cork sheets to make a pin-up board for myself. But, it was when I went to Hong Kong for a fair and saw these fabrics that I completely fell in love with them. I researched more and realised that it was the perfect material to bring the concept of Arture to life. Usually eco-friendly products are on the pricier side. How are you pricing your bags? Shivani: My products are at premium prices, because Arture is committed to using the best quality materials. That being said, they are definitely not over-priced. A men's wallet costs between Rs.1500-2500. A women's wallet between Rs.2500-3000 and bags cost between Rs.4000-Rs.8500. Eco-friendly products are also stereotyped as dull and boring. How do you plan to change that? Shivani: Arture is the change. We set out to break that myth and we did just that. We created a merge of fashion, eco-consciousness and practicality in all our products. The products are fun yet sophisticated. They're textural and they're so interesting to look at and touch. Since you’re an accessory designer, do we get to see more than just bags? Most importantly, where do we buy your bags from? Shivani: Arture's first collection can now be pre-ordered on this link : http://igg.me/at/arture. We need your support in order to launch this brand. We need to reach a goal of $15000 and every little contribution helps. People can contribute any amount right from $1 (Rs.60) to $1000 (Rs.60,000) or even more. In exchange for your contributions, you will be the first to receive Arture products as soon as they are launched. If you love our concept, love our products and believe in us, help us bring Arture to life. Shivani: Arture is about nature and being natural. This does not include just cork. Cork happened to be the first material we fell in love with, but with time we want to continue discovering such materials and experimenting with them.